To get this nail look just keep scrolling! 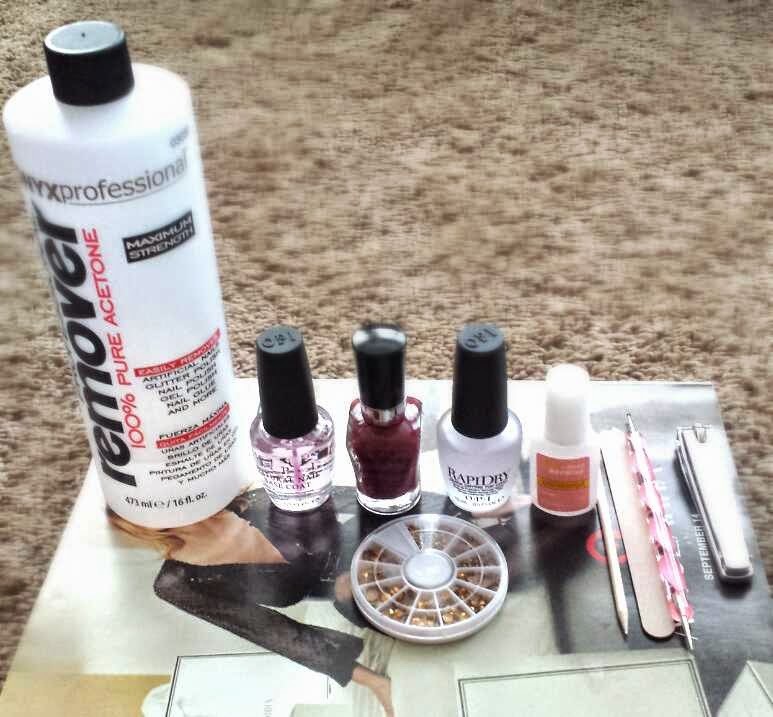 These are the essentials for this manicure! 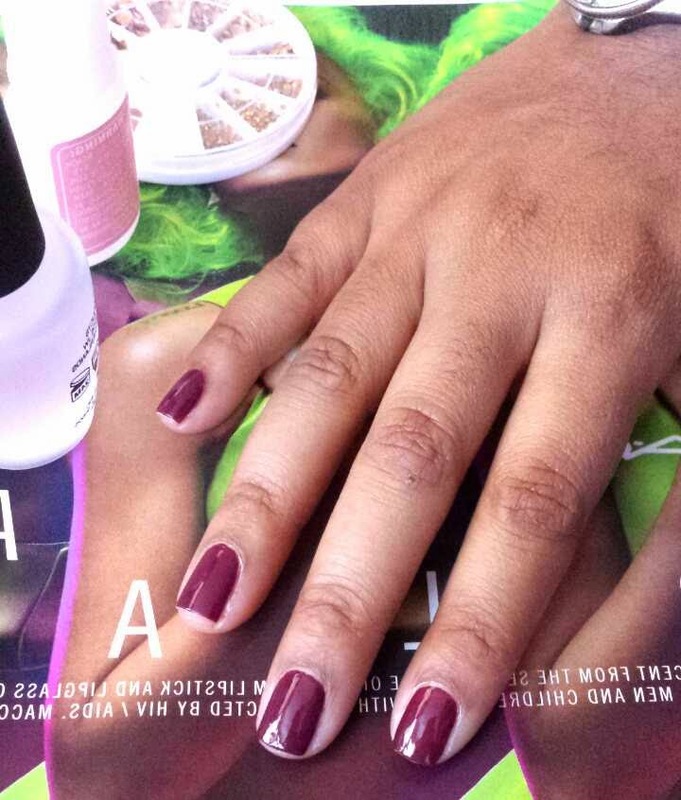 Apply your favorite base coat. 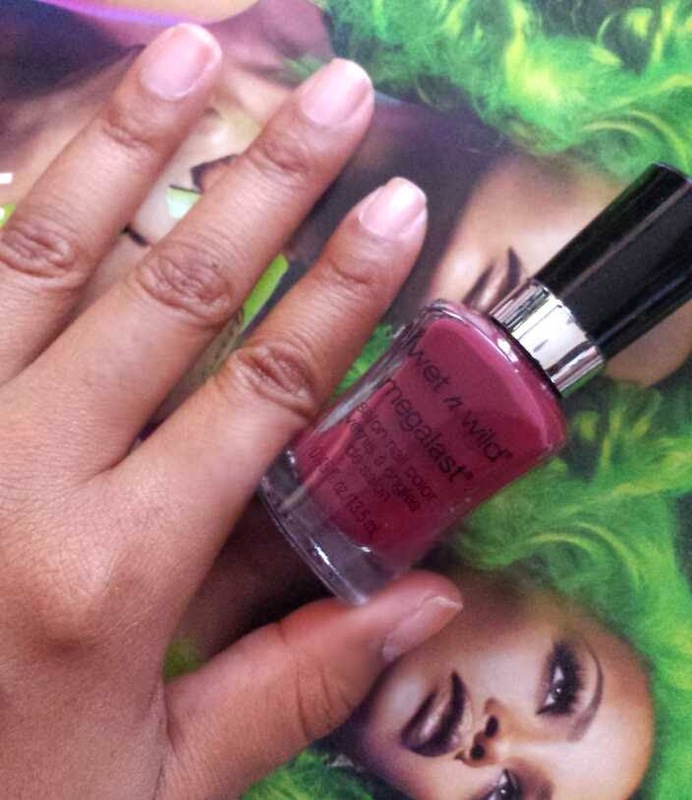 Using Wet & Wild Haze of Love polish two coats on each nail. 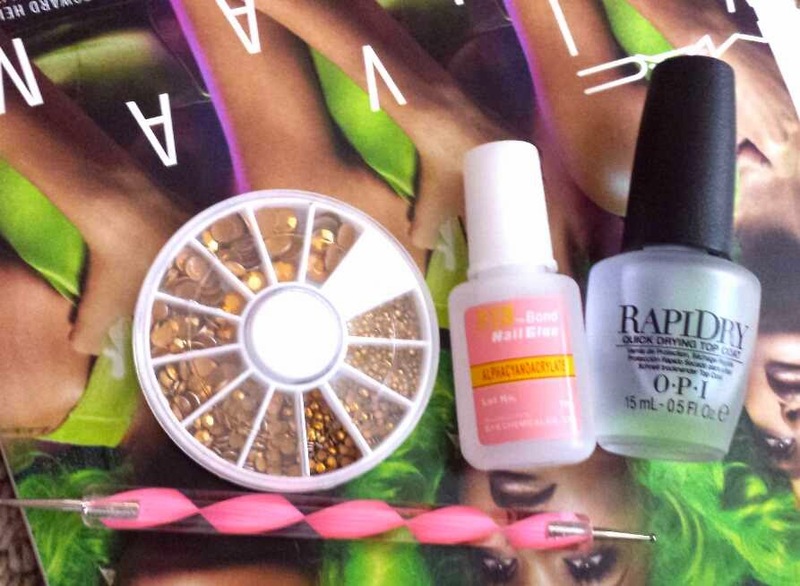 Essentials needed to put/keep the studs on the nail. 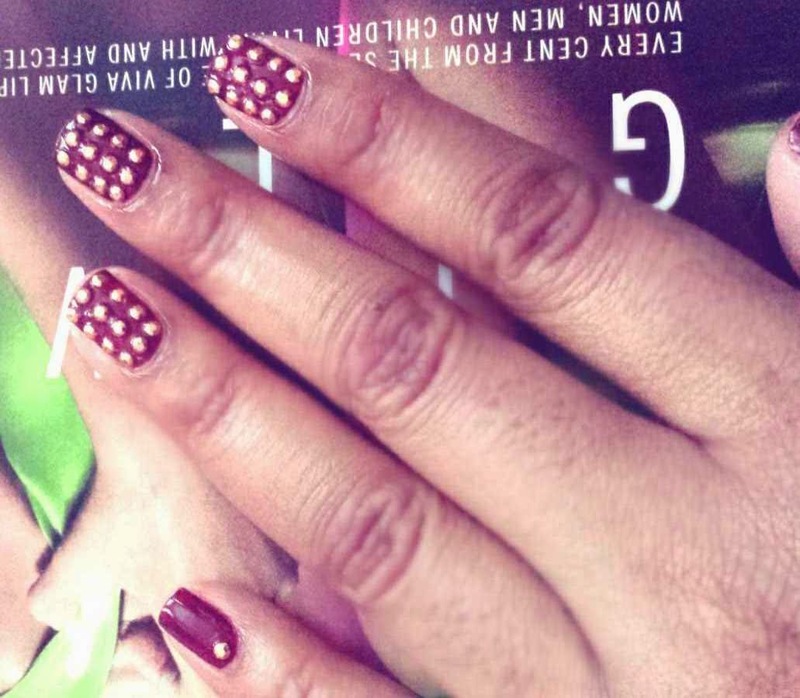 Use glue and the dot tool to place the studs in place on the nail. 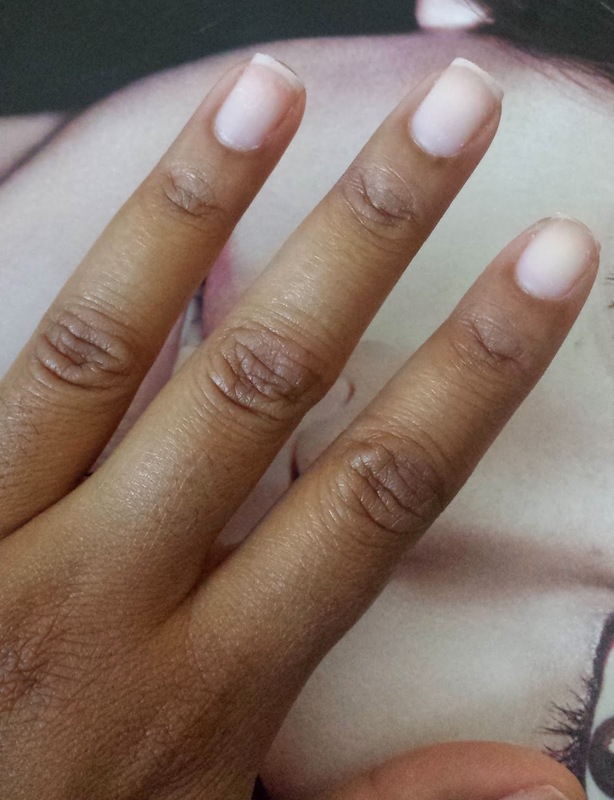 Once studs have been placed on the nail you can leave it like this for a casual look. 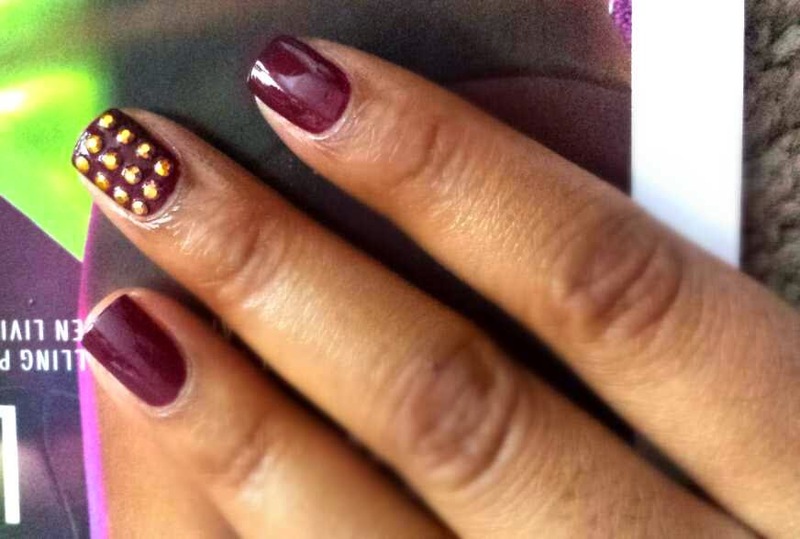 Or you can add studs on all four fingers to look Lux! (As shown in the beginning) Let studs dry on nail. 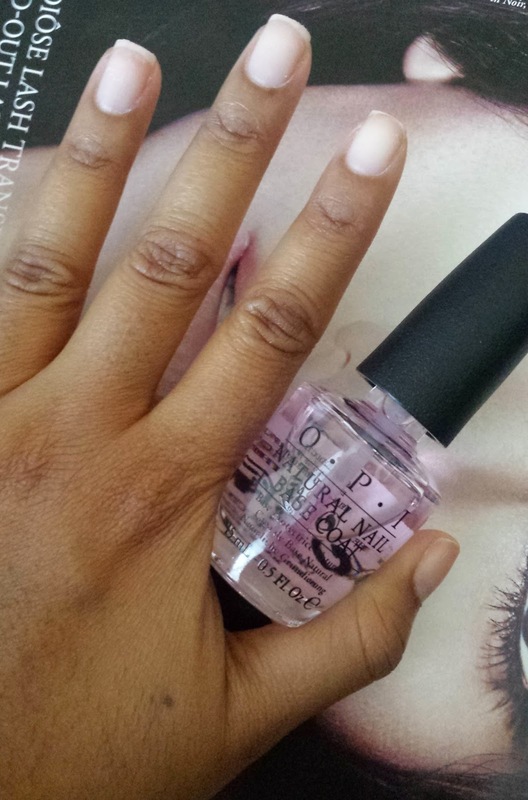 Add top coat and you are finished!